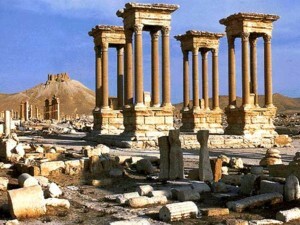 An oasis in the Syrian desert, north-east of Damascus, Palmyra (Tadmor in Arabic) contains the monumental ruins of a great city that was one of the most important cultural centres of the ancient world. 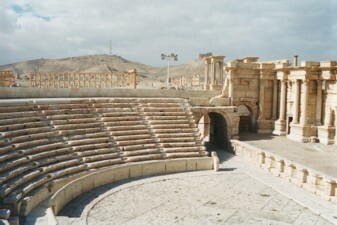 From the 1st to the 2nd century, the art and architecture of Palmyra had style Graeco-Roman techniques with local traditions and Persian influences. The beauty of the remaining architecture such as Baal-Shamin Temple, Bel Temple, Arch of Triumph, the Amphitheater, the Baths, the Straight Street, the Congress Council and the Cemeteries covers an area of 6 km2 and tells of a heroic history during the reign of Queen Zenobia.